Since attending the Captain America: The Winter Soldier world premiere in Los Angeles, I have been hooked on Marvel movies! I never would have thought I would enjoy them so much! I am so glad I had the opportunity to attend that event or I may have never watched them. Marvel fan or not, these are must see movies! Marvel Studios brings us AVENGERS: AGE OF ULTRON to theaters May 1, 2015. This action-packed thrill ride has an all-star cast including Robert Downey Jr., Chris Hemsworth, Mark Ruffalo, Chris Evans, Scarlett Johansson, Jeremy Renner, Aaron Taylor-Johnson, Elizabeth Olsen, Paul Bettany, Cobie Smulders with James Spader and Samuel L. Jackson as Nick Fury. Marvel’s AVENGERS: AGE OF ULTRON returns with Robert Downey Jr. as Iron Man, along with Chris Evans as Captain America, Chris Hemsworth as Thor and Mark Ruffalo as The Hulk. Together with Scarlett Johansson as Black Widow and Jeremy Renner as Hawkeye, and with the additional support of Samuel L. Jackson as Nick Fury and Cobie Smulders as Agent Maria Hill, the team must reassemble to defeat James Spader as Ultron, a terrifying technological villain hell-bent on human extinction. Along the way, they confront two mysterious and powerful newcomers, Wanda Maximoff, played by Elizabeth Olsen, and Pietro Maximoff, played by Aaron Taylor-Johnson, and meet an old friend in a new form when Paul Bettany becomes Vision. Written and directed by Joss Whedon and produced by Kevin Feige, Marvel’s “Avengers: Age of Ultron” is based on the ever-popular Marvel comic book series “The Avengers,” first published in 1963. Get your first look at Ultron trying to tear apart Captain America, Iron Man, Thor and the rest of the world in the first official teaser trailer for Marvel’s AVENGERS: AGE OF ULTRON. Check out a special look at Marvel’s AVENGERS: AGE OF ULTRON that aired on an episode of MARVEL’S AGENTS OF S.H.I.E.L.D. below. The new trailer for Marvel’s AVENGERS: AGE OF ULTRON is now available. Watch it below! 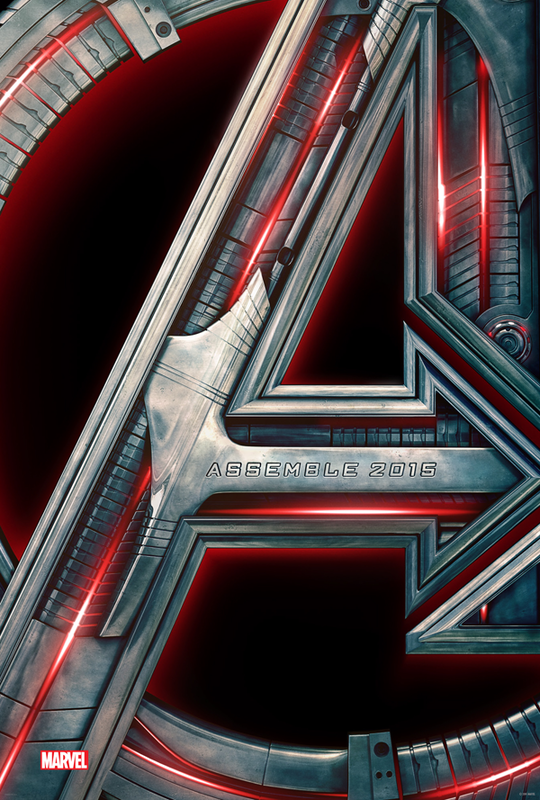 Marvel’s AVENGERS: AGE OF ULTRON will hit theaters everywhere on May 1st, 2015! What’s your all-time favorite Marvel movie? My all-time favorite Marvel movie is the first Iron Man. Can you believe that Peter Billingsley, ‘Ralphie’ from the classic holiday film “A Christmas Story” worked on it? Seen and loved all the Marvel movies- my brother just showed me the new Avengers trailer and I went bananas.